Your holiday rental – villa or apartment? Summer is peering over the horizon, temperatures are rising and holiday decisions must be made. You know you want a holiday in Marbella but are unsure whether you’d prefer an apartment or a villa for your vacation accommodation. Choosing the perfect holiday rental property for you and your family can feel like an uphill task. There’s such an overwhelming amount of information and property advertising online these days, it’s hard to know where to start! Right from the beginning, it is important to consult reputable websites. Recently, cases of fraudsters advertising non-existent holiday homes to unsuspecting families have come to light. The easiest way to avoid this is to book through a holiday rental agent with an office close to the property, which you can visit in case of any problems. 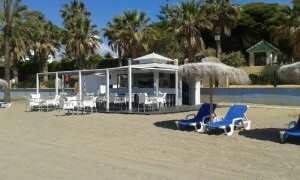 A day spent on the beach in Marbella wouldn’t be the same without a chiringuito. These traditional beach bars can be seen along the length of the Spanish coast, but they are particularly popular in Andalucía. The number of luxury villas and apartments in Marbella being rented long-term has soared so far in 2015. Why is this? 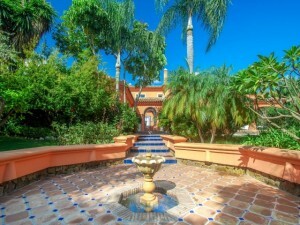 Spain is more popular than ever with foreigners − for holidays, investments and permanent living. However, many homebuyers are orientating themselves by adopting a ‘try before you buy’ approach. Costa del Sol property: who’s buying? Spain is quite unusual in that when you talk about real estate trends you always have to distinguish whether you mean the mostly national primary housing market or the largely foreign secondary ‘holiday’ market. In other words, are we talking about Spanish people buying homes to live in or about foreign buyers acquiring a holiday home or full-time residence in the sun? You see, these two property markets that exist in the same country often follow their own patterns, and sometimes they even move in entirely opposite directions.